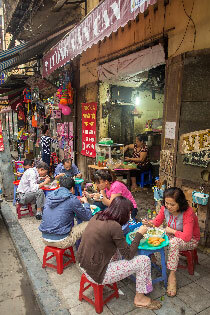 People who tour Vietnam love the exciting mix of delectable Vietnamese cuisine, rich history, and stunning natural beauty. However, the Vietnamese people often steal the show with their demonstrations of ingenuity and their friendliness to visitors. Proud and patriotic, the Vietnamese delight in sharing their traditions and history. 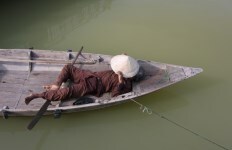 During your Vietnam holiday you will experience its contrasts. The frantic pace of the cities contradicts the traditional farming methods employed in the peaceful countryside. The bustling Mekong Delta of the south is a world away from the breathtaking Halong Bay in the north. Trek to traditional hill tribe villages in the cool climate of the north one day, and relax by the pool at a tropical island resort the next. 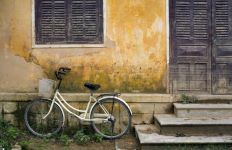 When you travel to Hanoi you can feel a serious and stoic capital steeped in history, while the vibrant and cosmopolitan Ho Chi Minh City (Saigon), with nine million inhabitants and five million motorbikes, never sleeps. 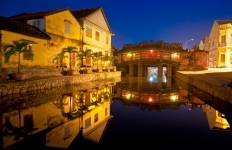 The former Imperial capital of Hue and the ancient trading port of Hoi An offer an evocative glimpse into the country’s rich historical past. Vietnam promises to leave fond and lasting memories, and with so much to see and do, the real challenge is deciding how to fit it all in to your Vietnam Holiday Package! 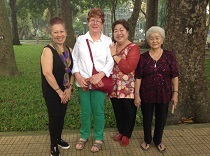 For an authentic Vietnam holiday experience with your own private local guides in each location and travelling in comfort and style, experience Vietnam your way, with the leader in private Asia travel - GetAboutAsia. We also offer small group tours designed for a lower budget or solo travellers who still seek for an authentic experience! Contact your Asia Travel Expert now and create your personal itinerary! Explore the famous Ban Gioc Waterfalls on this 6 day tour through Vietnam. 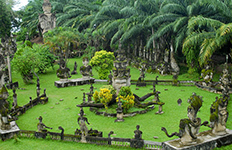 This tour has it all - a drive along the Colonial Road, the Tam Thanh grotto's, fantastic mountains at Ba Be, a boat cruise at the Dau Dang waterfall and much more. If you’ve only got one week off work, this trip is for you. Leave home one weekend and return the next, jet-setting through Vietnam and experiencing the must-see destinations of Hanoi, Hoi An and Saigon. This action packed tour of Vietnam covers all the key attractions with options and extensions often chosen by customers with a taste for adventure. If this sounds like you, then this is the perfect itinerary for your trip to Vietnam. 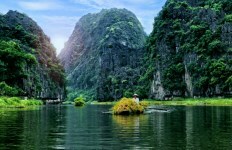 Experience the Highlights of Vietnam as you travel the length of the country. 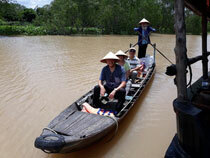 Start in Saigon and visit the Cu Chi Tunnels, the Mekong Delta, Hoi An, and Hue. 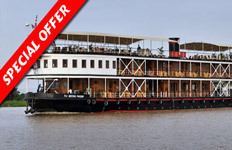 Cruise the bay and stay overnight on Halong Bay, ending in Hanoi. 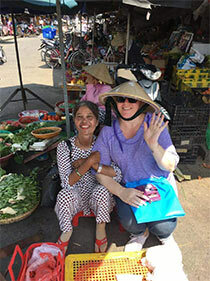 The perfect trip to experience Saigon and Hoi An. 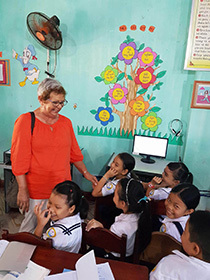 Start with Saigon's city sights, explore the Cu Chi Tunnels, and attend a cooking class. 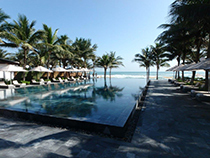 Visit magical Hoi An with time to explore the town as well as relax on the beach. Your Discovery of Vietnam starts in Saigon and visits the Cu Chi Tunnels, a wildlife centre, the Mekong Delta, the beaches of Nha Trang, Hoi An, Hue, Hanoi, Van Long nature reserve, and ends with two days on Halong Bay. 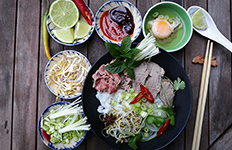 Experience the Flavours of Vietnam and its highlights as you travel the length of the country from Hanoi to Saigon. Enjoy the diversity of food from north to south and from street food markets to the best fine dining restaurants. 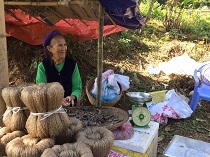 Mai Chau’s stunning scenery offers opportunities for trekking and mountain biking, while providing a glimpse into the village life of H’mong and White Thai hill tribes. Ninh Binh province is home to beautiful Van Long nature reserve, and an over-night cruise in Halong Bay rounds off this fantastic trip. 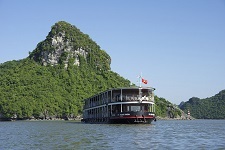 Pioneer the Red River with us and get mesmerized by the wonders of Halong Bay. Nha Trang, in central Vietnam, offers sandy beaches and clear blue ocean . 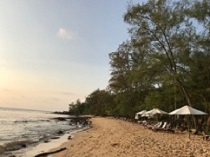 Enjoy a speed boat and snorkelling trip, a cycling trip to the mineral mud baths, and a fun cooking class. The tropical Mekong Delta is known as the rice bowl of Vietnam. This maze of waterways must be experienced firsthand to appreciate the contrast of peaceful tranquillity and commercial activity. Honeymoon Special – enjoy the sprawling metropolis of Ho Chi Minh City and relax on the white sand beaches of Phu Quoc while staying in luxury accommodations! Discover a different side of a much-loved country on this activity-focused trip through the northern half of Vietnam. 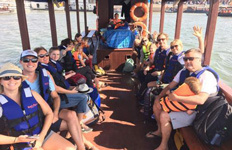 Encompassing cycling excursions, guided walking tours, kayaking expeditions and two nights of boating on Halong Bay, this trip is bound to get the blood pumping and the family bonding. With great food, lush scenery and lots of warm, friendly locals, the whole family will fall in love with Vietnam. 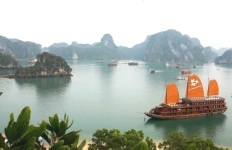 Sail beautiful Halong Bay. Delight at water puppets in Hanoi. Learn about rich emperors in Hue. Get a new outfit tailor-made in Hoi An. Maybe even take a dip in the Vietnam East Sea. Experience the Highlights of Vietnam and Cambodia visiting Hanoi with Halong Bay, Hoi An, Hue, and Saigon with the Mekong Delta in Vietnam, and Phnom Penh and Siem Reap, home of fabled Angkor Wat, in Cambodia. Experience the Highlights of Vietnam and Laos as you travel Vietnam from Saigon and the Mekong Delta in the south, to Hoi An, Hue, Halong Bay and onto Hanoi, before exploring Vientiane and Luang Prabang in Laos. 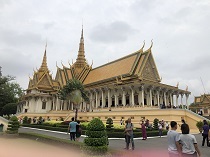 Experience the Highlights of Vietnam, Cambodia & Laos, visiting Phnom Penh and the temples of Angkor in Cambodia, Saigon, the Mekong Delta, Hoi An, Hue, Hanoi and Halong Bay in Vietnam, and Vientiane and Luang Prabang in Laos. 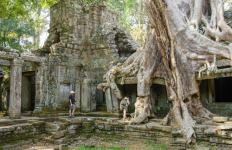 Discover the amazing temples of Angkor in Cambodia before flying to Saigon where for your Classic trip of Vietnam. 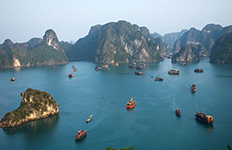 Explore the Cu Chi Tunnels, the Mekong Delta, Hoi An, Hue, French colonial Hanoi and end your trip on Halong Bay. Jetset through Vietnam and Cambodia visiting the must-see attractions of Hanoi, Halong Bay, Saigon and the temples of Angkor in nine days flat! If you like to travel at a fast pace, then this is the itinerary for you. 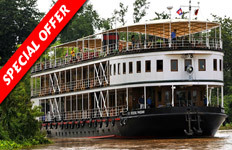 This 3-night offers travellers with limited time a richly rewarding adventure, either heading up river in Cambodia by exploring the Tonle Sap Rivers, or downriver between Phnom Penh (PNH) in Cambodia and Ho Chi Minh (SGN), in bustling Vietnam. 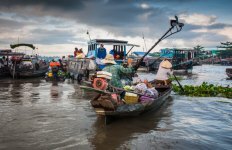 Joining us for the full 7-night Mekong Expedition Cruise allows us to share with you all the mysteries and wonders we have discovered between the Mekong and Tonle Sap Rivers and among the diverse cultures thriving in our midst.